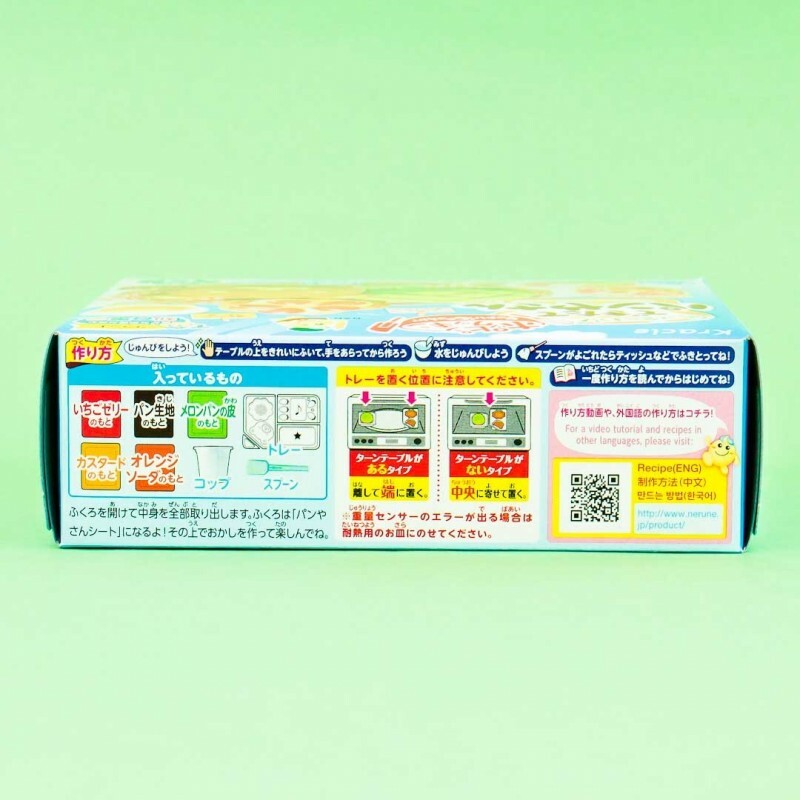 Kracie Popin' Cookin' sets are a fun and interesting way to make familiar dishes as miniature foods from delicious candy materials by only adding water! 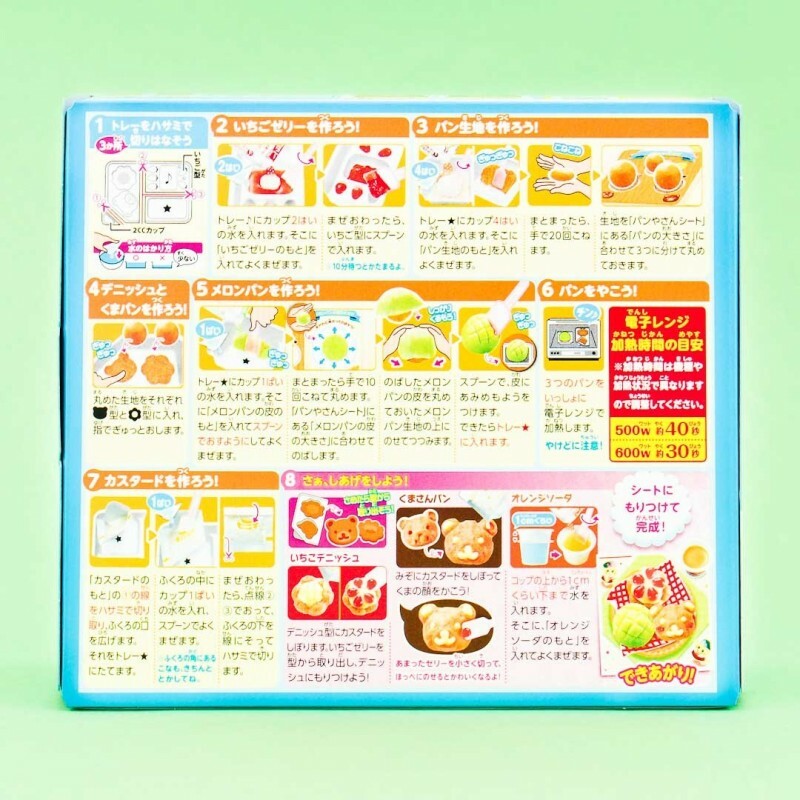 This is a do-it-yourself set for making your own tasty & famous Japanese pastries! By mixing water and the included ingredients, you can stir and shape this kit into a tasty melon turtle bun, chocolate bear bun, and a cherry custard bun with a cup of orange soda! Bake the buns carefully in the microwave and create the toppings according to the instructions. Decorate them with melon cover, cherries, and custard. Just close your eyes and you are in a lovely little bakery shop in Japan! This set is great fun for both children and adults! 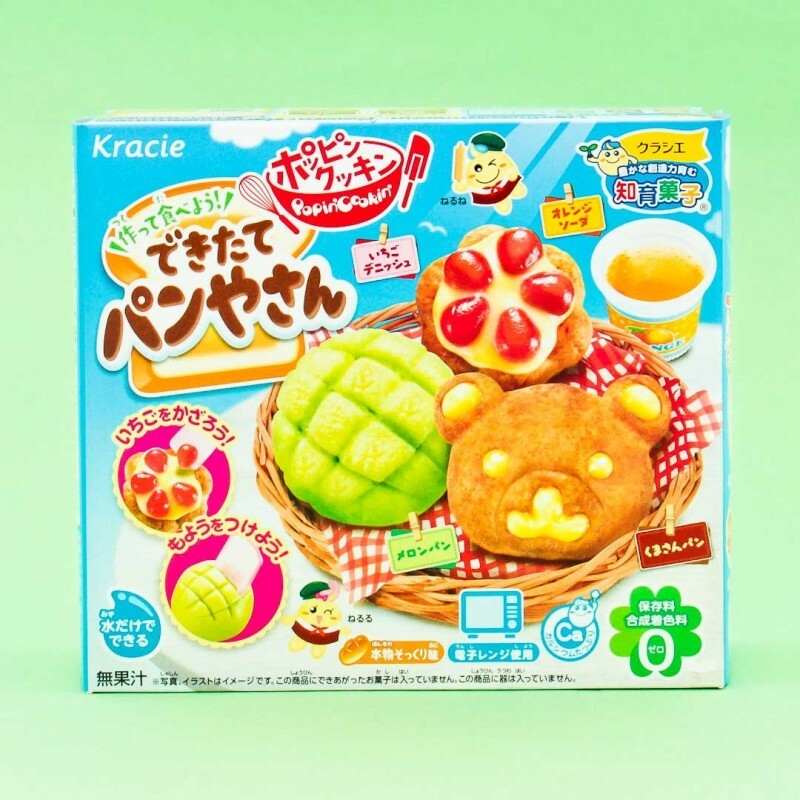 Make Japanese pastry treats for youself or with your friends!